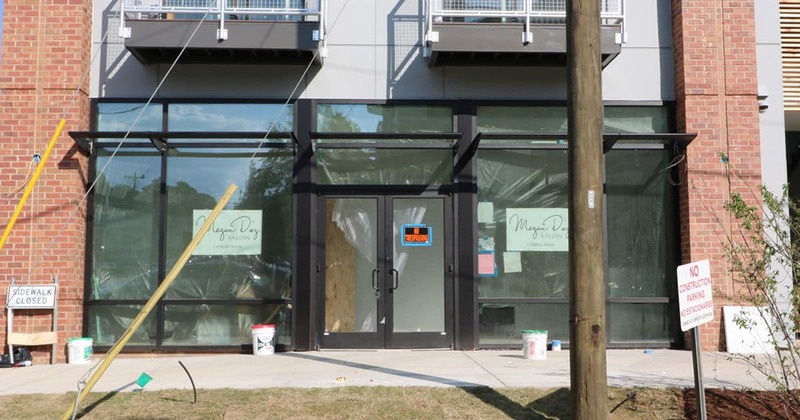 The Megan Diez Salon, which currently operates at 401 River Street is adding a second location on Stone Avenue. The new location will be their primary location, with the River Street location serving primarily large groups such as wedding parties, where they can rent out the entire space to have a private area to get ready for an event. The salon is in the bottom floor of the Main & Stone Apartment complex. 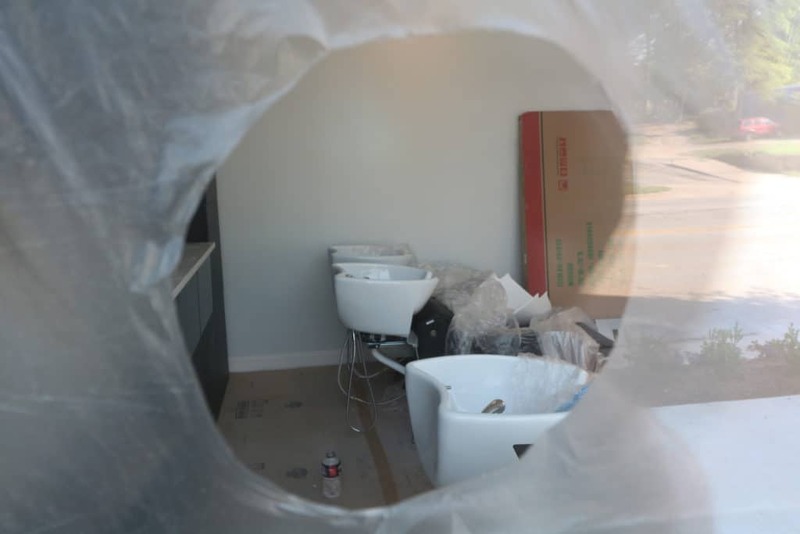 You can see in the photo below taken through the window that they’re getting close, their sinks and cabinetry is in place, but no firm word on the opening, but we’d bet it won’t be much longer. Many of you have asked, “when will the new salon open?” The answer to that is 2017 but unfortunately we do not have an opening date as of yet. We are currently waiting for the lovely apartments above to be finished being built before we can have a better idea of when we will open. No one wants to open in a construction zone! As soon as we have an opening date we will be sending out emails as well as snail mail invitations!